Personalised unicorn wall sticker with cosmos space decor surrounded by stars, from our collection of fairy tale stickers. 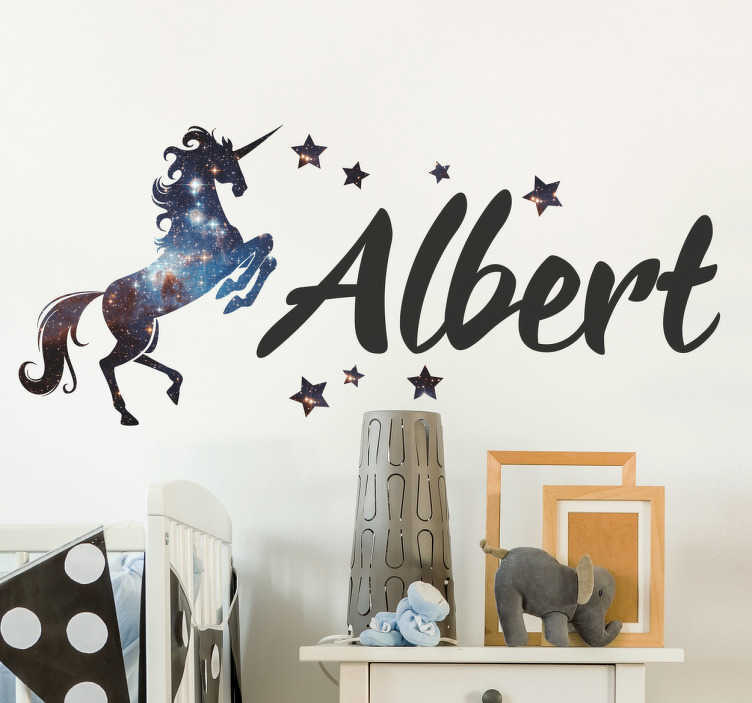 This stunning custom wall sticker allows you to write anyone's name in a stylish font and place it next a magical unicorn to personalise any room in the house. Excellent kids wall decal to add a personal touch to the wall decor in your child's bedroom, nursery or teen's room.